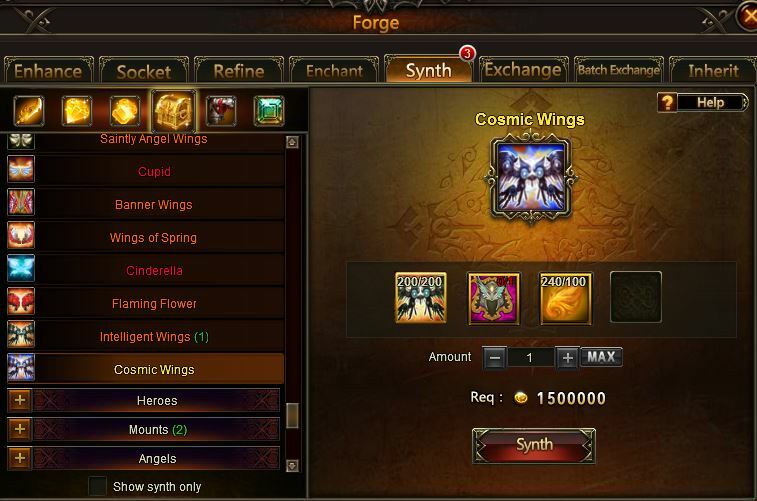 North America Forum»Forum ›League of Angels ›General Discussion › new item? found this looking around, have not seen any info about this yet, just a heads up for all, this is in forge, but only seen under cosmic. Wonder how many people we have to kill for this item? Went back and looked at update notes and nothing about this mentioned. Looks like intel wings in synth area? So is this gonna be like mounts were we lose the original? or do I need to collect intel shards again? 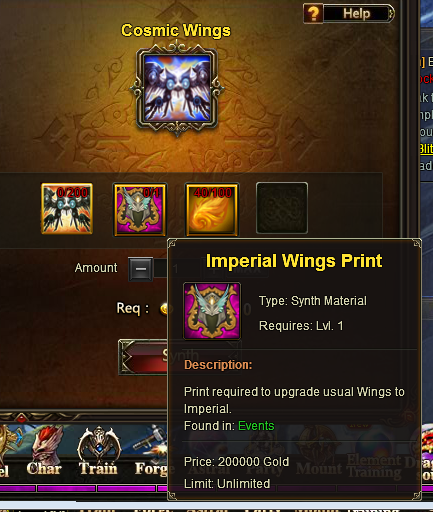 + 200 intel wing shards. This but the first set requiring imperial prints, just remember that guys. Prince, at least that would be a usable item! don\'t have to big hopes that GT will actually offer for free check-ins. 2019-4-21 12:59 GMT+8 , Processed in 0.064797 second(s), 52 queries .